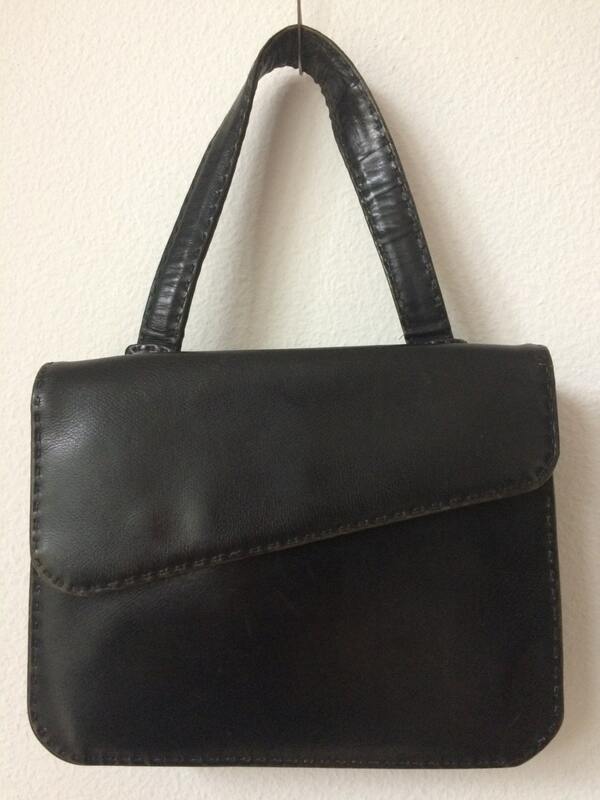 This is a rare vintage handbag. 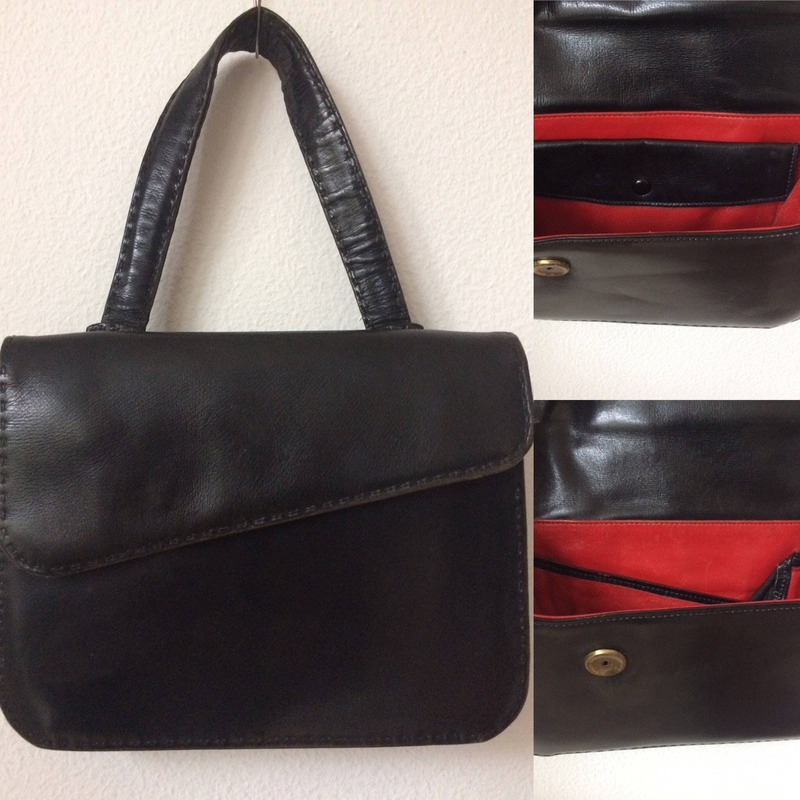 The bag has on as well as the front as the backside a compartment which can be closed by a asymmetrical flap with a snapclosure. In the middle of the bag is also a compartment. 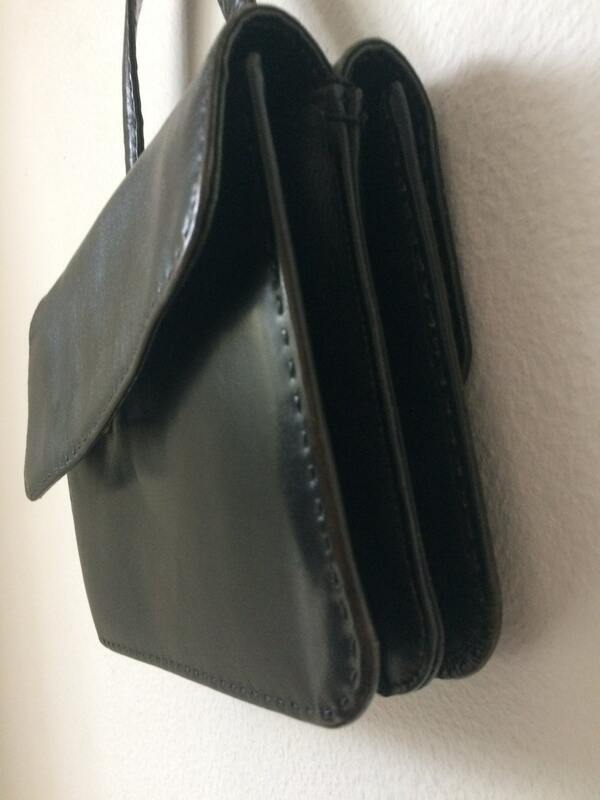 The strap has been fastened in this compartment with 2 buckles. 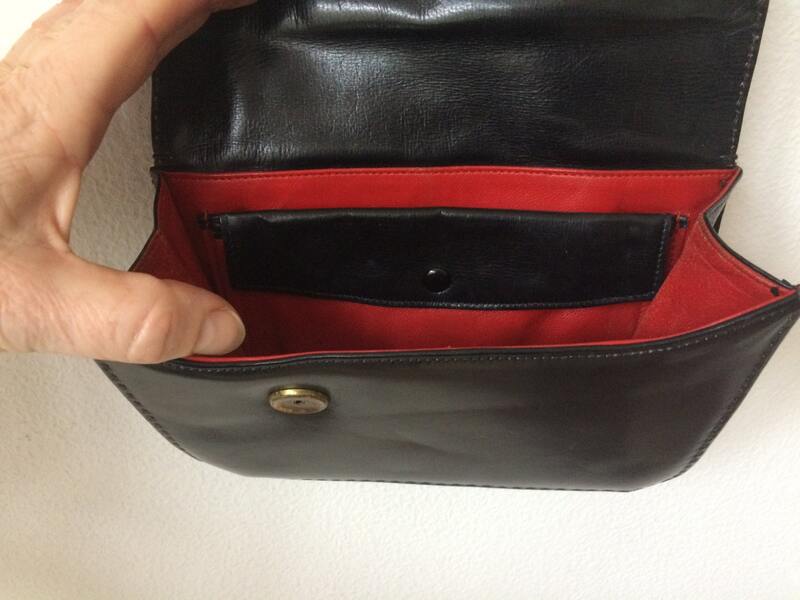 Both compartments are lined with red leather. 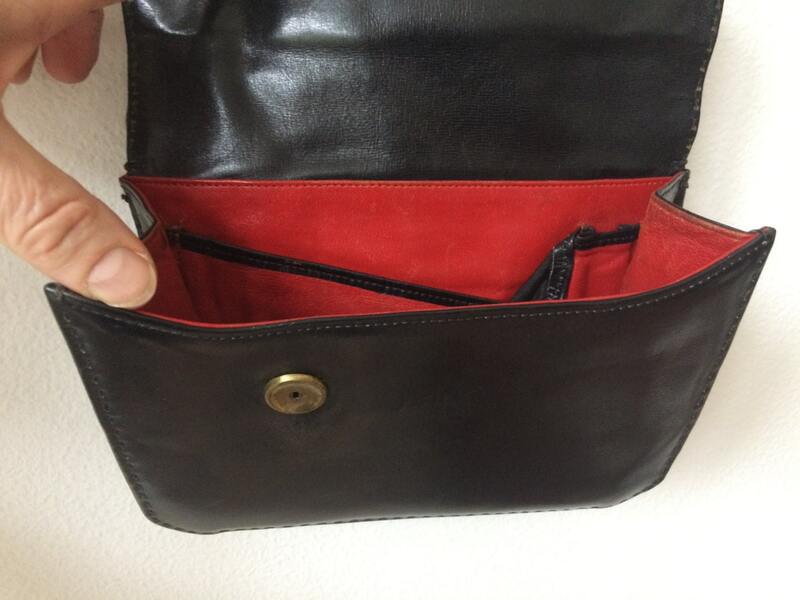 One of the compartment has one more little compartment, the compartment at the other side of the bag has 2 little compartments. 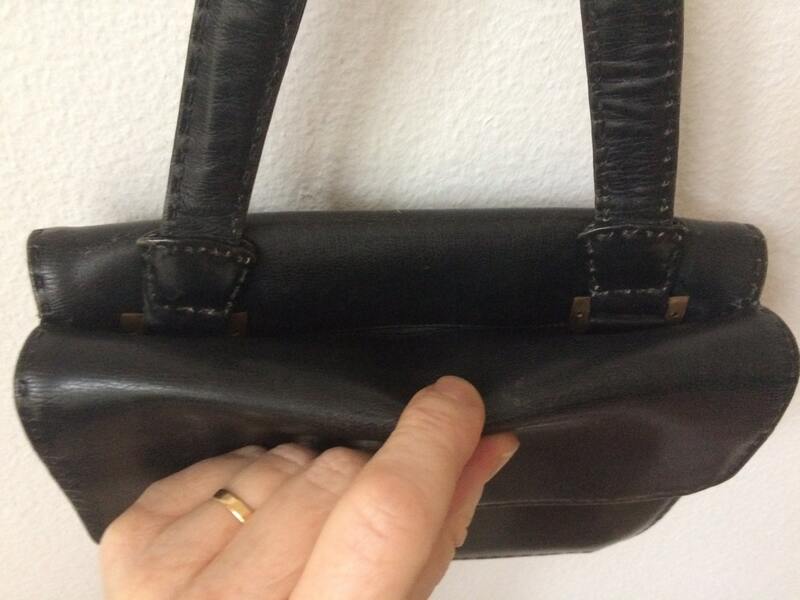 The bag is in a very good condition! Shipping: carefully packed with track & trace. All purchases include a little present.